Provided end to end experience for movie feature. Yahoo! wants to build this project for one simple reason - we have tons of daily active users in Yahoo! PC Movie Page. And movie is part of the media vertical line. We also already have the News app in Google play and the App store. In order to strengthen our news app, we decided to add movie into our current news app. We walked into the user’s daily life, by visiting the biggest movie theatre such as Xinyi district. We want to know what they would normally do when they want to buy tickets in Taiwan. Then, we noticed that people usually stand in a queue for hours to buy a ticket. Even though they use apps to buy movie tickets online, they still need to pick-up their reserved tickets before movie started. Based on previous observation, I quickly designed a movie concept. In designing this concept, I have two approaches. First, movie app as a standalone app. Second, we treat the movie as the main feature in our News App. 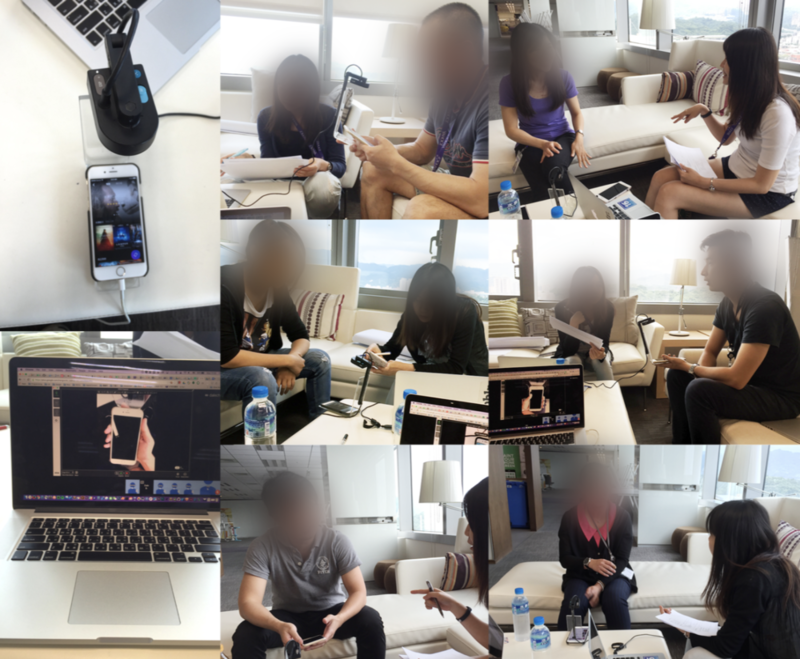 User interviews to learn more about our users and the find out the opportunity of developing movie feature. Understand their concerns and the pain points of using our prototype and knowing how they buy tickets and how do they find a movie when they want to see a movie. So we interviewed with six users. With six users in this interview, we can identify possible failures, insights and daily life behaviour from users. Researcher initiated a workshop to help us do debrief session. Based on the interview insights, we consolidated our findings. Then, mapped out our customer journey. Make a concrete plan and propose the ideas to the core team and stakeholders. Display Chinese and English movie name is crucial for user to identify the movie itself. For movie ranking feature: user might prefer the one which can display more movies ranking at the same time. They don't need to swipe up again and again. Display movie description and remaining seats when user long press on movie card: we find out user might think this remaining seats inside the card is not useful for them. Because there are tons of movie theatres, "how can I know which theatre is the one I want to buy tickets." And "what does remaining seats means?" Display movie trailers when user long press on movie card: they don’t need to back and forth to see the trailers. So this content is more valuable compare to previous prototype for them. What movies are out right now? Provide users with the most thoughtful recommendations when they browsing the stream. Provide customised movie experience, e.g. they can edit their favorite theater list. Favorite theater help them know what's playing at their favorite theater. Give the user the cheapest price and the most intuitive buying tickets experience. We’d like to create a strong community for movie addiction. And they can exchange information or good deals here.